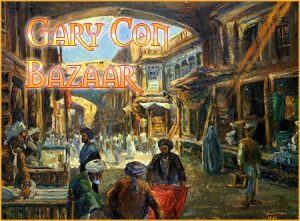 The Gary Con online Bazaar is now closed so that we can prep for the convention. You will be able to find all your favorite GC swag & gear at the Gary Con table in the vendor hall! We will reopen after the con and we do a full inventory.